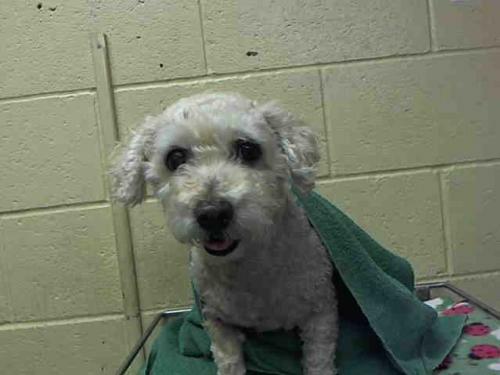 Millie is a miniature Poodle who is around 10 years old. She needs to be spending her senior years with a family who will love her and spoil her. Please lets find her a loving home! 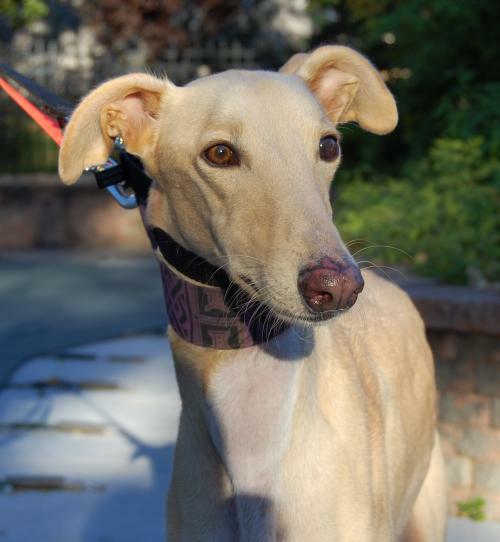 Mac is a very handsome light fawn Galgo Greyhound, he is 5 1/2 years old. He has been blind in his left eye since birth, but this only seems to affect him when someone comes up on his blind side or he gets overwhelmed with someone/something approaching him from the front. Mac can initially be a bit reserved, but once comfortable he comes into his own and is happy and looking for affection and love. Mac's best day would include being able to curl up on the couch with his human close by, and he will let you know that he is not happy until that circumstance is accomplished. We are working on Mac's housebreaking skills; he is a good eater and travels nicely in the car. Mac is good with children but not with small animals. Please lets find him a great home! 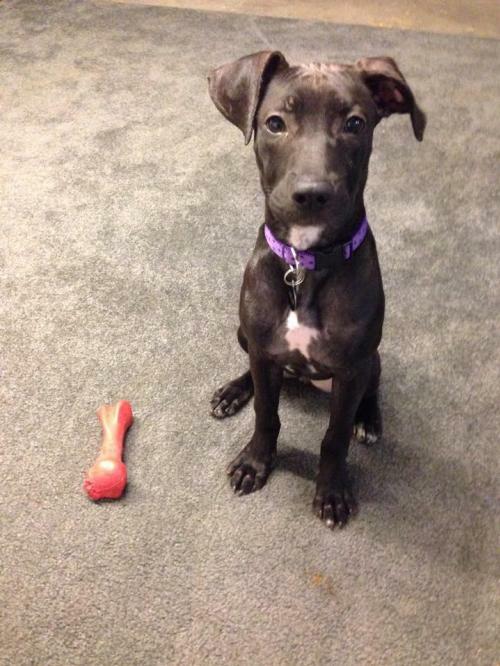 Greyhound Friends of NJ, Inc.
Princess Labrador Retriever/American Pit Bull Terrier Mix female Puppy. She is 4 months old and 20 lbs. Princess' foster mom say she is the perfect family dog. She loves to be around people and to give kisses and snuggles and get belly rubs. She enjoys romping in the yard and chewing on her bone. Princess loves everyone, including strangers and children. Despite being a puppy she plays with small kids very nicely. 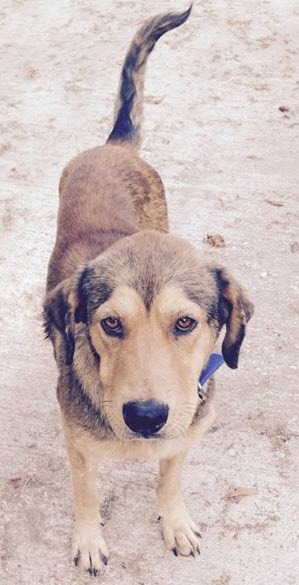 She is housebroken, crate trained, and enjoys the company of other dogs. Princess would do well with a family that has the time to devote to continuing her crate training and continuing to teach her proper doggy manners. Please lets find her a good home! 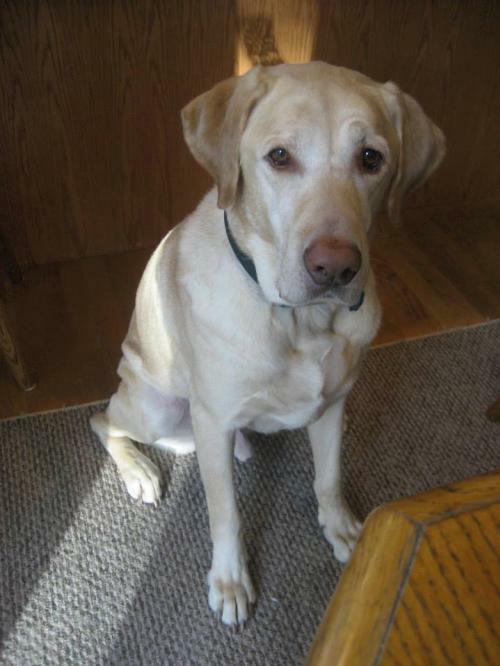 Cody is a Labrador Retriever who is 7-8 years olds. He is sweet, handsome and healthy. Cody was given up due to families issues and his Mom called Brookline to help find him the best home ever. Cody is good with everyone, but may knock over little children when he gets excited. After a few minutes Cody walks good on a leash too. He loves to swim and play with his favorite squeaky toy the Duck. We don't know how Cody is around dogs and cats as he did not get out much to meet them. A home with no dogs and cats would be great or a dog savvy family that would be willing to help Cody learn to live with another dog. Please lets find him a loving home! Batman is aShepherd mix who is around 1 1/2 years old and 45 lbs. He would like nothing more than a family to share his love with. Please lets find him a great home!